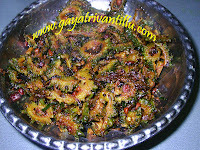 Wash Okra (Bhendi / Bendakayalu) well and spread them on a dry cloth to dry. Keep them aside for few minutes or wipe dry. At times we get overgrown okra among the lot. To identify the overgrown okra, take the okra and bend the tail end with thumb—if the okra doesn’t break easily then that is the overgrown okra. Try to cut the overgrown okra and it will make a scratchy sound. Hold the overgrown okra piece between fingers and it will be hard to touch. Even one piece of overgrown okra in the curry will spoil the taste of the entire curry. Discard all overgrown okras and cut only the tender ones. Tender okras have pointed tail ends. Take the okra and bend the pointed tail end with thumb and it breaks easily if the okra is tender. Remove the top portion of the okra and cut into even sized pieces. Similarly cut all the tender okras into even sized pieces and take them into a bowl. Heat a pan and add oil to it. When oil is hot add black gram and fry stirring. When the seeds start changing color add mustard seeds and fry till they start crackling. Then add cumin seeds and fry till seeds crackle fully. Now add green chilies (or red chili pieces or red chili flakes) and fry. Then add curry leaves and mix well. To the fried seasoning add the okra pieces and mix well. Add turmeric powder and salt and mix well. Take care while adding salt as the quantity of the vegetable reduces on cooking. Now cook covered on low flame for one minute. After one minute, remove lid and gently mix the vegetable. Again cook covered on low flame for a minute. Repeat the process of cooking covered for one minute and stirring afterwards till the vegetable is cooked. As okras have a sticky substance, cooking covered for long time will make the curry sticky. So it is necessary to stir the vegetable after every one minute of cooking. After some time the sticky substance vanishes and the pieces look dry. By that time the vegetable will be cooked. Transfer the curry to a serving bowl and serve hot with hot plain rice or roti. Select tender okras and discard the overgrown ones. . Even one piece of overgrown okra in the curry will spoil the taste of the entire curry. Discard all overgrown okras and cut only the tender ones. For spice use green chilies or red chilies or red chili flakes according to taste. Every vegetable has its own taste—do not reduce that flavor by adding more spices. Many people feel that they should wipe okras but not wash them. I wash the okras and spread them on a dry cloth and after few minutes the vegetable is dried and will be ready to cut to pieces. Fry the seasoning by adding black gram first and fry till it starts changing color. Then add mustard seeds and fry till they start crackilng. Then add cumin seeds and fry till they crackle—by this time the mustard seeds are fully crackled and the black gram changes to light brown color. This is the proper way of seasoning the curry—all the ingredients are fully fried giving the taste. Cover the pan to cook the vegetable. Stir fry after every minute to reduce the stickiness of okras. 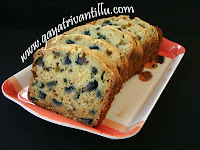 Serve hot with rice or rori, chapati, paratha etc. Remove the Chillies / Red Chillies while eating. They provide the required hotness indirectly. These need to be removed while eating.